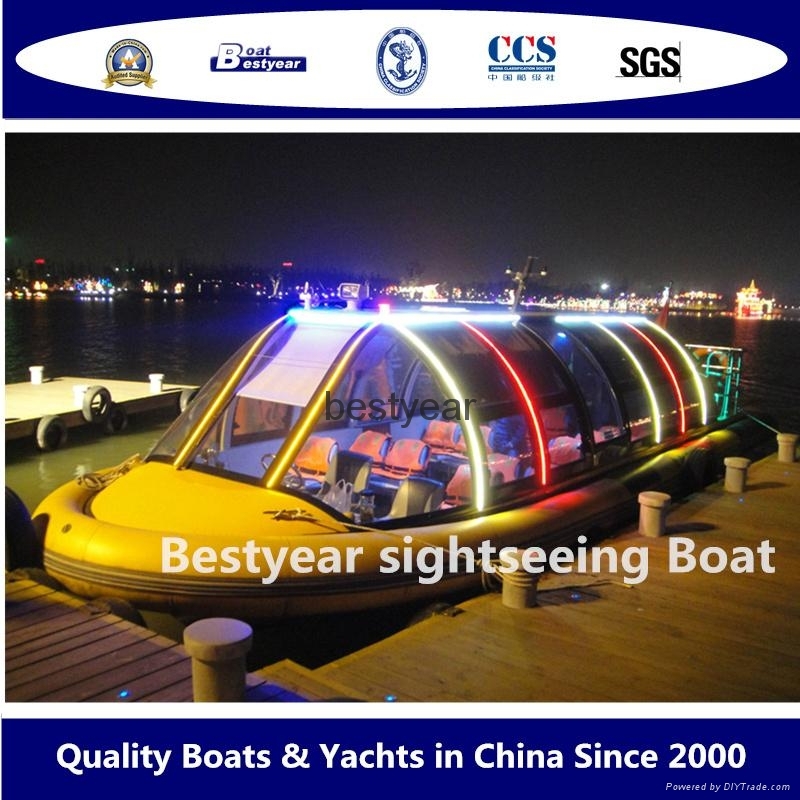 Bestyear WaterBus is the best choice of sightseeing boat with all glass window, views are all in sight. The design of RIB airbag or fiberglass fender provide the most secure protection. Kinds of engines can be used as inboard engine or outboard engine. This boat is applicable to the coastal and inland waterway areas.